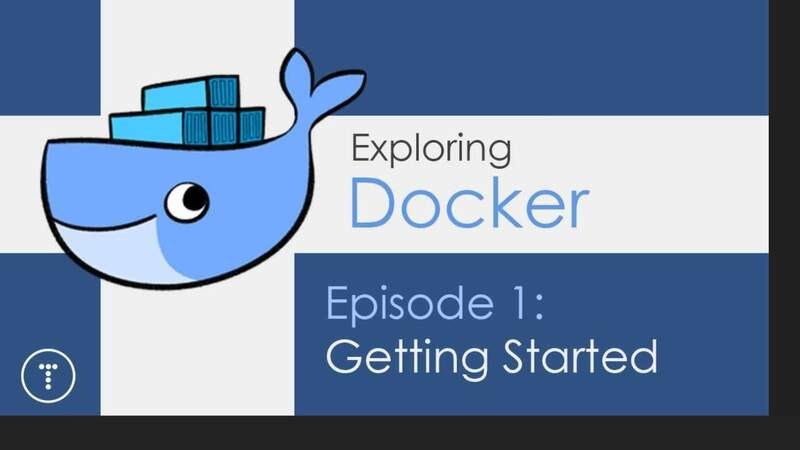 This is an introductory tutorial on Docker containers. 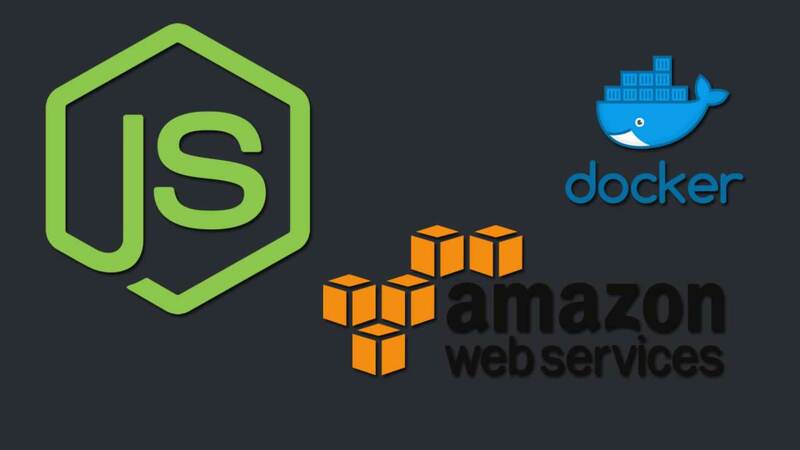 By the end of this article, you will know how to use Docker on your local machine. 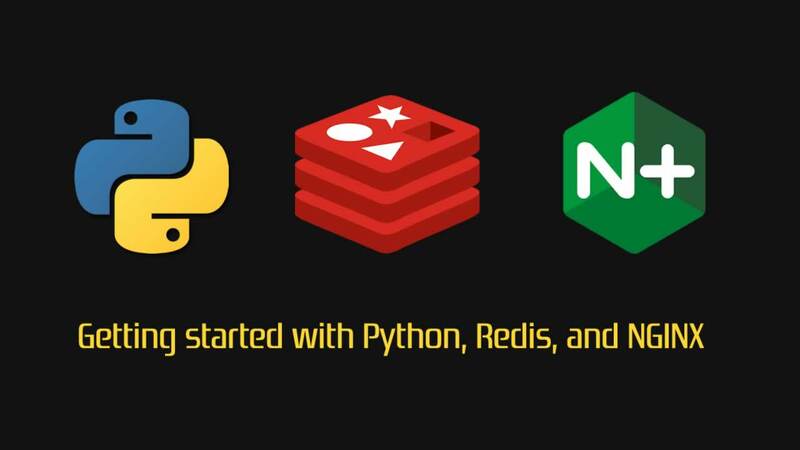 Along with Python, we are going to run NGINX and Redis containers. These examples assume that you are familiar with the basic concepts of those technologies. There will be lots of shell examples, so go ahead and open the terminal. Note: the code samples may be displayed improperly because of markdown. I recommend to continue reading the original article on our blog to make sure all the examples are displayed properly. Docker is an open-source tool that automates the deployment of an application inside a software container. The easiest way to grasp the idea behind Docker is to compare it to, well, standard shipping containers. how to transport different, incompatible types of goods side by side. Examples might be like food and chemicals, or glass and bricks. After the introduction of containers, bricks could be put over glass, and chemicals could be stored next to food. Cargo of various sizes could be put inside a standardized container and loaded/unloaded by the same vehicle. When you develop an application, you need to provide your code along with all possible dependencies like libraries, the web server, and databases. You may end up in a situation when the application is working on your computer, but won’t even start on the staging server, or the dev, or QA’s machine. Traditionally, virtual machines (VM) were used to avoid this unexpected behavior. The main problem with VMs is that an “extra OS” on top of the host operating system adds gigabytes of space to the project. Most of the time your server will host several VMs that will take up even more space. And by the way, at the moment, most cloud-based server providers will charge you for that extra space. Another significant drawback of VM is a slow boot. Keep in mind that Docker is not the first or only containerization platform. However, at the moment, Docker is the biggest and the most powerful player on the market. There is no need to install 3rd-party apps like PostgreSQL, Redis, or Elasticsearch on the system — you can run them in containers. Docker also gives you the ability to run different versions of same application simultaneously. For example, say you need to do some manual data migration from an older version of Postgres to a newer version. You can have such a situation in microservice architecture when you want to create a new microservice with a new version of the 3rd-party software. It could be quite complex to keep two different versions of the same app on one host OS. In this case, Docker containers could be a perfect solution — you receive isolated environments for your applications and 3rd-parties. You can deliver your application in one piece. Most programming languages, frameworks, and all operating systems have their own packaging managers. And even if your application can be packed with its native package manager, it could be hard to create a port for another system. Docker gives you a unified image format to distribute your applications across different host systems and cloud services. You can deliver your application in one piece with all the required dependencies (included in an image) ready to run. Docker can’t guarantee 100% dev / staging / production parity, because there is always the human factor. But it reduces to almost zero the probability of error caused by different versions of operating systems, system-dependencies, and so forth. 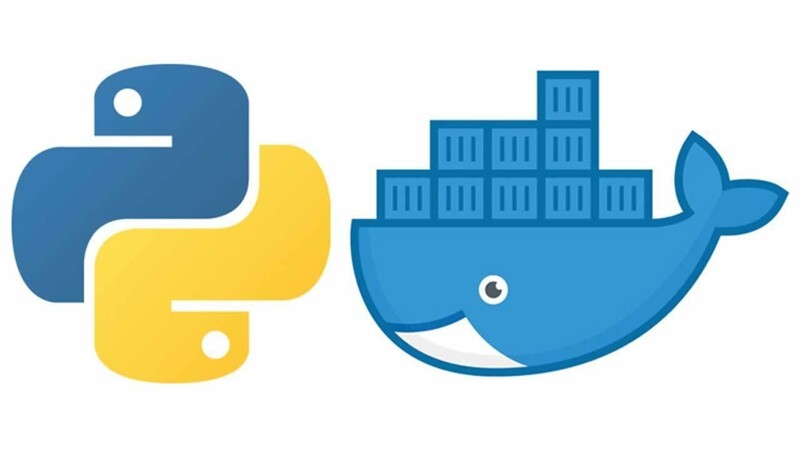 With the right approach to building Docker images, your application will use the same base image with the same OS version and the required dependencies. Out of the box, you have a unified way to read log files from all running containers. You don’t need to remember all the specific paths where your app and its dependencies store log files, and write custom hooks to handle this. A correctly wrapped application will cover most of the Twelve Factors. By design, Docker forces you follow its core principles, such as configuration over environment variables, and communication over TCP/UDP ports. And if you’ve done your application right, it will be ready for scaling not only in Docker. Container — a running instance that encapsulates the required software. Containers are always created from images. A container can expose ports and volumes to interact with other containers or/and the outer world. Containers can be easily killed / removed and re-created again in a very short time. Containers don’t keep state. Image — the basic element for every container. When you create an image, every step is cached and can be reused (Copy On Write model). Depending on the image, it can take some time to build. Containers, on the other hand, can be started from images right away. Port — a TCP/UDP port in its original meaning. 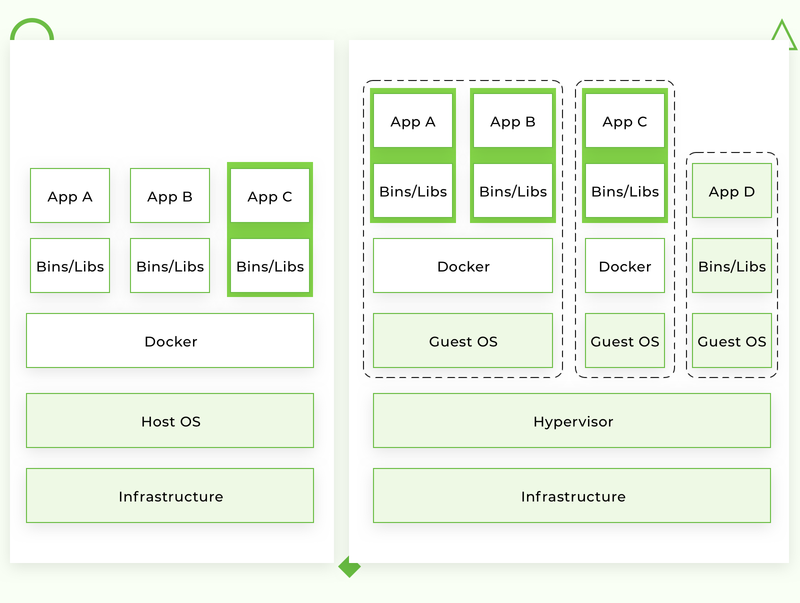 To keep things simple, let’s assume that ports can be exposed to the outer world (accessible from the host OS) or connected to other containers — accessible only from those containers and invisible to the outer world. Volume — can be described as a shared folder. Volumes are initialized when a container is created. Volumes are designed to persist data, independent of the container’s lifecycle. Registry — the server that stores Docker images. It can be compared to GitHub — you can pull an image from the registry to deploy it locally, and push locally built images to the registry. Docker Hub — a registry with the web interface provided by Docker Inc. It stores a lot of Docker images with different software. 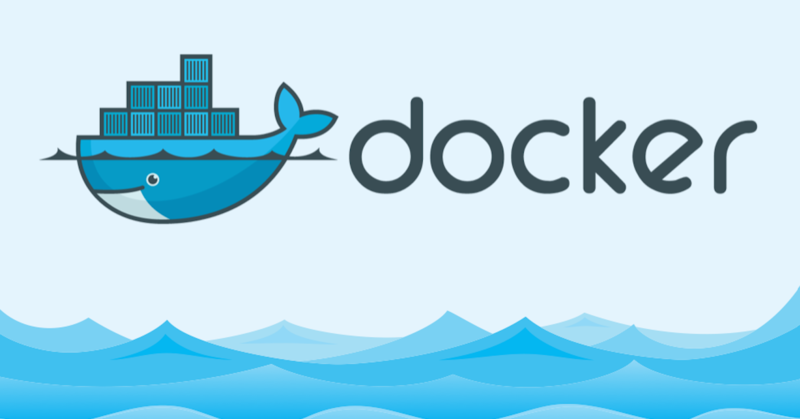 Docker Hub is a source of the “official” Docker images made by the Docker team or in cooperation with the original software manufacturer. But it doesn’t necessary mean that these “original” images are from official software manufacturers. Official images list their potential vulnerabilities. This information is available to any logged-in user. There are both free and paid accounts available. You can have one private image per account and an infinite amount of public images for free. Also there is a Docker Store — a service very similar to Docker Hub. It’s a marketplace with ratings, reviews, and so forth. My personal opinion is that it’s marketing stuff. I’m totally happy with Docker Hub. ubuntu is the image you run, for example the Ubuntu OS image. When you specify an image, Docker looks first for the image on your Docker host. If the image does not exist locally, then the image is pulled from the public image registry — Docker Hub. — rm flag automatically removes the container when the process exits. By default, containers are not deleted. This container exists while we keep the shell session, and terminates when we exit the session (like an SSH session with a remote server). — name daemon assigns a daemon name to a new container. If you don’t specify a name explicitly, Docker will generate and assign it automatically. -a flag shows all containers. Without the -a flag ps will show only running containers. gifted_nobel. The name for this container was generated automatically — it will be different on your machine. It’s the first container we created, the one that printed “Hello world” once. daemon — the third container we created, which runs as a daemon. Note: there is no second container (the one with interactive shell) because we set the -rm option. As a result, this container is automatically deleted right after execution. -f flag (for rm) stops the container if it’s running — a force deletion. Warning: This command looks quite heavy, but it’s just an example to explain volumes and env variables. In 99% of real-life cases, you won’t start Docker containers manually — you’ll use orchestration services (we’ll cover docker-compose in example #4) or write a custom script to do it. We can try to change /example/nginx/index.html which is mounted as a volume to /usr/share/nginx/html directory inside the container, and refresh the page. This command displays system-wide information about the Docker installation. This information includes the kernel version, number of containers and images, exposed ports, and mounted volumes. You can check this Dockerfile reference for more details. Avoid installing unnecessary packages — it will consume extra disk space. Use cache. Add context that changes a lot, for example, the source code of your project, at the end of Dockerfile — it will utilize Docker cache effectively. Use environment variables in RUN, EXPOSE, VOLUME. It will make your Dockerfile more flexible. A lot of Docker images (versions of images) are created on top of Alpine Linux — this is a lightweight distro that allows you to reduce the overall size of Docker images. I recommend that you use images based on Alpine for third-party services, such as Redis and Postgres. For your app images, use images based on buildpack. It will be easy to debug inside the container, and you’ll have a lot of pre-installed system-wide requirements. Only you can decide which base image to use. You can get maximum benefit by using one basic image for all images — in this case, the cache will be used more effectively. The current example will increment the view counter in Redis. Open the following URL in your web browser and check it. How to use Docker Compose is a topic for a separate tutorial. To get started, you can play with some images from Docker Hub. If you want to create your own images, follow the best practices listed above. The only thing I can add in terms of using Docker Compose is that you should always give explicit names to your volumes in“ docker-compose.yml” (if the image has volumes). This simple rule will save you from an issue in the future when you’re inspecting your volumes. In this case, redis_data will be the name inside the “docker-compose.yml” file. For the real volume name, it will be prepended with project name prefix. Run the process in the foreground. Don’t use systemd, upstart, or any other similar tools. Keep data out of containers — use volumes. Do not use SSH. If you need to step into a container, you can use the docker exec command. Avoid manual configurations or actions inside containers. To summarize this tutorial, alongside with IDE and Git, Docker has become a must-have developer tool. It’s a production-ready tool with a rich and mature infrastructure. Like standard containers used in cargo transportation, wrapping your code in Docker containers will help you build faster and more efficient CI/CD processes. This is not just another technological trend promoted by a bunch of geeks — it’s a new paradigm that is already being used in the architecture of large companies like PayPal, Visa, Swisscom, General Electric, Splink, and more.